The Only Side-Loading Triple Glove Dispenser with Shelves - Three is the magic number of this exclusive design. Three shelves for essential supplies, three compartments to hold gloves, and three colors to choose from. 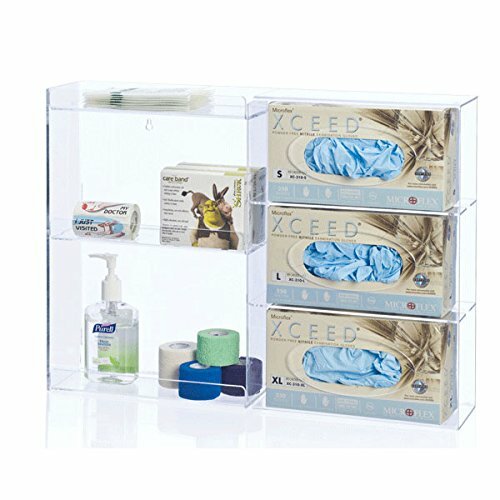 From the finished edges to the optimum height between shelves, no detail was overlooked on this well-crafted, durable acrylic organizer.